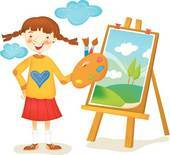 Your child is creating a masterpiece for the Foundation Art Show! Join us to see your child’s art framed and on display Thursday, February 16th 5:30-7:30 at Timber Ridge Elementary School. The framed artwork will be available for purchase and there will be hands on art projects for the children to enjoy. Please turn in your RSVP by Feb. 8th so that we can have your child’s artwork framed for the show. RSVPs will be going home in Thursday folders, or you can download one here. 20% of the proceeds will benefit your Foundation so come on out and support this great cause! If you have any questions please contact Nicole Miller at nicolemg@europa.com or 770-642-7939.